The all-new 2014 Lincoln MKZ premium midsize sedan comes standard with more content and a lower starting price than the new Lexus ES 350. The 2013 Lincoln MKZ includes several segment-firsts, plus features such as all-wheel drive that buyers cannot have on a new Lexus ES 350, whose starting price is $175 more than the new Lincoln MKZ’s. The 2013 Lincoln MKZ boasts 10 class-exclusive features, seven of which are standard: push-button shift, LED headlamps, 10.1-inch LCD instrument cluster, Active Noise Control, 8-inch touch screen, remote start and Easy Fuel ® capless fuel filler. Available features are the retractable panoramic roof and inflatable rear seat belts. Base price for all of this is $35,925, excluding $875 delivery and destination charge. Plus, customers still can choose the MKZ Hybrid – projected to remain America’s most fuel-efficient premium midsize sedan – for the same price, unlike other luxury competitors. Dealer order banks are now open, and customers can configure their own virtual MKZ at http://www.lincoln.com/cars/mkz/2013. 2013 MKZ Hybrid best price in class and improved performance. Lincoln became the first automaker to offer luxury customers a premium hybrid vehicle with a suggested retail price matching its conventional gas sibling, starting with the MKZ Hybrid in 2010. This model has been a key component to bringing new customers into Lincoln showrooms, with 72 percent of hybrid buyers being new to the brand last year alone. Lincoln MKZ Hybrid customers receive the same key feature as Lincoln MKZ gas customers in their respective equipment groups. That means, for example, customers opting for the Hybrid Premiere Package receive SYNC with MyLincoln Touch with 8-inch touch screen, leather-trimmed heated front seats, class-exclusive LED headlamps and Lincoln Drive Control. Other competitors charge a premium for their hybrid models. The 2013 Lexus ES 300h, for example, is priced at $38,850, representing a $2,750 premium over the 2013 Lexus ES 350 and nearly $3,000 ($2,925) more than the 2013 Lincoln MKZ Hybrid. 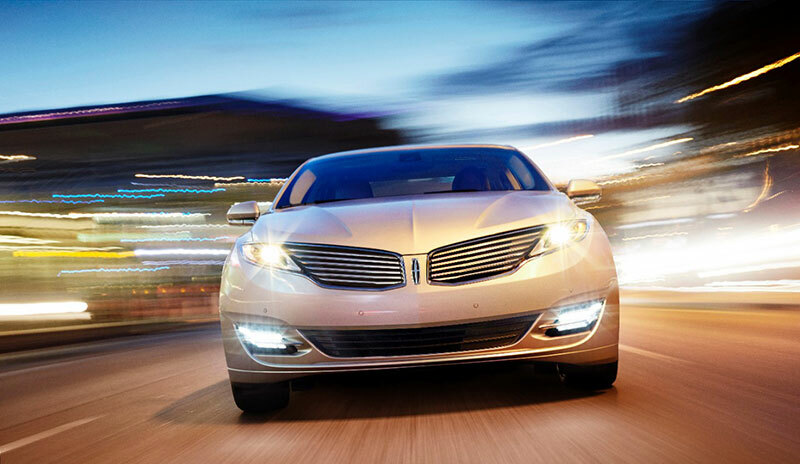 Exclusive to the Lincoln MKZ Hybrid is SmartGauge ® with EcoGuide. This instrument cluster coaches drivers to become more fuel efficient, creating visual rewards in the form of the growth of virtual flowers on the system’s right-most screen for the driver’s efforts to operate the car in a fuel-efficient manner on a long-term, day-to-day basis. Lincoln’s white flowers, inspired by apple blossoms, remain permanently unless lifetime fuel economy is reset. On the all-new Lincoln MKZ Hybrid, new lithium-ion batteries save weight and generate more power than the previous nickel-metal-hydride batteries. An all-new 2.0-liter Atkinson-cycle four-cylinder gas engine retains performance with more efficiency than the previous 2.5-liter unit, and the 70-kilowatt electric traction motor alone can power the car up to 62 mph. The electric traction motor during launch allows for a smaller gasoline engine and significantly reduces fuel consumption. In addition, when it is used as a generator, it helps recover the vehicle energy during deceleration or braking to recharge the battery pack. Projected total system power is 188 horsepower. 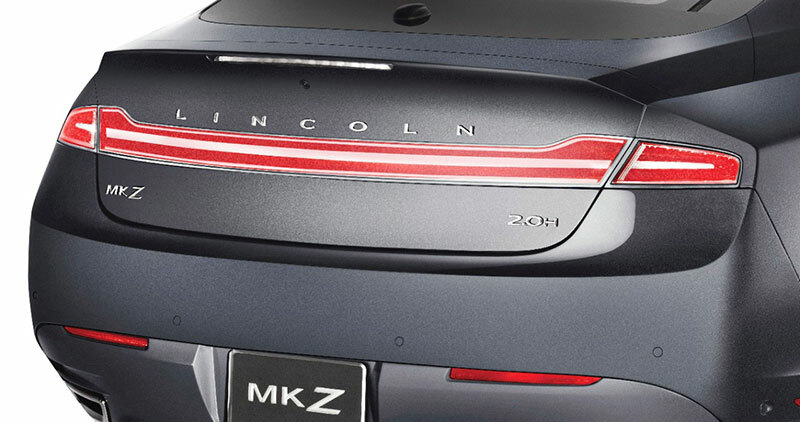 The 2013 Lincoln MKZ will be available in four executions: Premiere, Select, Reserve and Preferred. Meaningful technology applied in an intuitive manner is a key component of this new Lincoln. Consider, for instance, the MKZ’s retractable panoramic roof. This visually and technically stunning feature becomes a Lincoln signature, offering a 15.2-square-foot glass panel and one of the largest rooftop openings available on any modern sedan. Click here to learn more about this available roof, which is priced at $2,995. 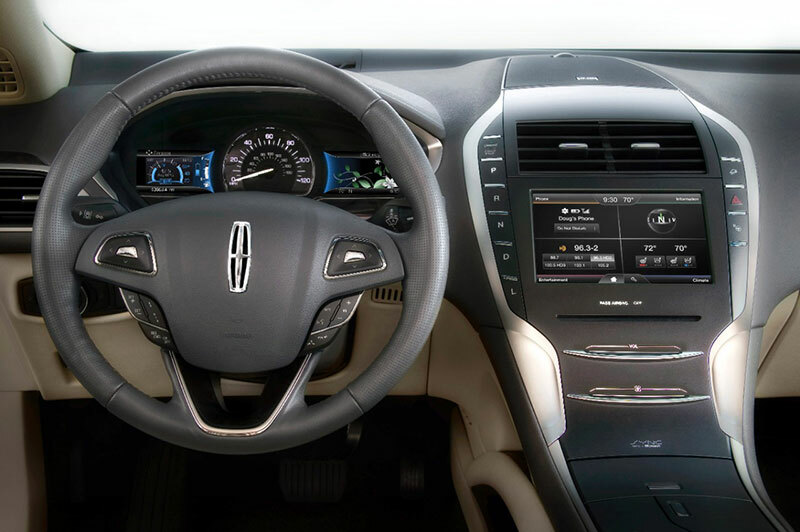 For audio enthusiasts, MKZ offers the available Lincoln-exclusive THX II Certified Audio System. It features 700 watts, 14 channels and 14 speakers. THX audio engineers spent more than 200 hours custom-tuning the THX-certified equipment to deliver home-theater surround sound, creating one of the industry’s most powerful audio systems. To aid drivers, the new Lincoln MKZ offers a Lane Keeping System, a suite of advanced driving aids that helps drivers avoid drifting from their lane due to distraction or fatigue. Consisting of Lane Keeping Aid, Lane Keeping Alert and Driver Assist, the Lane Keeping System utilizes a mono-vision camera integrated into the rearview mirror to read the lane markers ahead. The Lane Keeping System is available as part of the Technology Package, which also includes adaptive cruise control, active park assist, auto high beams and rain-sensing wipers. The new MKZ is the only sedan in its class to offer inflatable outboard rear seat belts. Rear-seat passengers – often children or mature passengers – can be more vulnerable to head, chest and neck injuries. These inflatable second-row, outboard seat belts spread impact forces across more than five times the area of conventional belts, reducing pressure on the chest while helping to control head and neck motion and helping reduce the risk of injuries. Emphasizing performance and efficiency, the optional 3.7-liter V6 engine produces a projected 300 horsepower, an increase of 37 horsepower over the previous MKZ V6, while improving fuel economy approximately 5 percent to an estimated 18 mpg city, 26 mpg highway (all-wheel drive).